Typically, I write about something vehicle-related. Cars, car care, road trips … But not today. The rebel in me says the Ram post I was working on will have to wait for another day. Today, this is about how history was made in November 2016. Why? 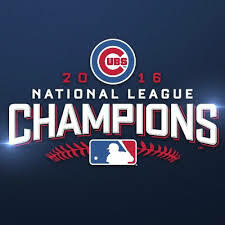 Because I am a lifelong, die-hard Chicago Cubs fan. I lived in Chicago during the days of Ryne Sandberg, Mark Grace and Andre Dawson, but I was a fan long before that. I was there for the Sammy Sosa – Mark McGwire homerun race. I went to every home game that I could squeeze in and felt the same overwhelming nostalgia every time I entered the gates at Wrigley Field. I’ve had beers at the Cubby Bear. I’ve sang along with Harry Caray during the seventh-inning stretch. Since leaving the Chicago area, my love for “my Cubbies” has only grown stronger as I had to work harder to see them play. I’ve seen them at Busch Stadium, Minute Maid Field (Houston), Globe Life Park (Arlington, Texas), Citizens Bank Park (Philly) and, of course, Wrigley. And I can’t count how many times I’ve asked a member of the wait staff in a sports bar to see if they could find the Cubs game and put it on at least one television. My phone is programmed to give me every possible update when the Cubs are playing. People have asked me more times than I can count how I could be a Cubs fan. After all, they hadn’t won the World Series in 108 years. There were seasons when we were happy to break 500. Being a Cubs fan is about so many things. It’s laughing at, but still sorta believing in The Curse. It’s about having a hot dog in the bleachers, and it’s the best hot dog you’ve ever had BECAUSE you’re in the bleachers at a Cubs game. It’s about the history of the ball club. It’s about simply loving the game. It’s about pacing a hole in the rug, waiting for a rain delay to end, so your team can play the tenth inning of a nine-inning game and finally, after over a century of “next years,” being the best team in baseball.